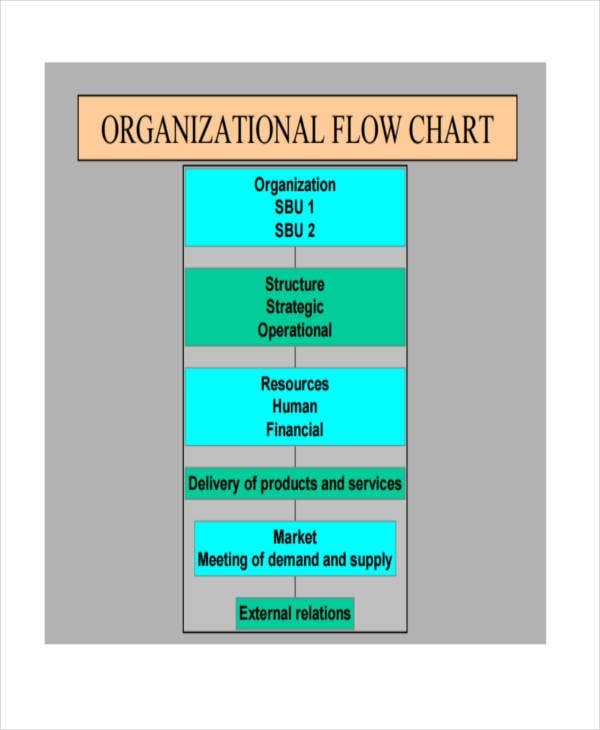 A work flow chart is used to visually present the chronological order of the work processes that need to be done to accomplish a task, a program, a project, or any other activity. 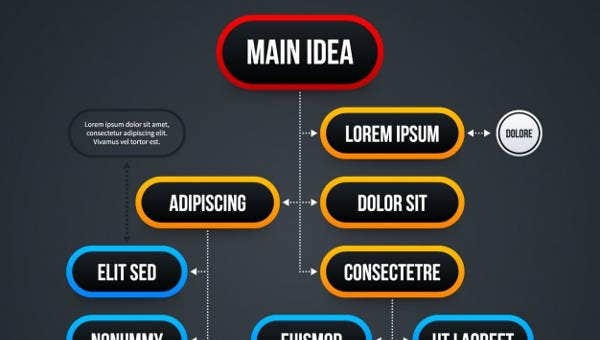 Work flow charts are very effective to be used in business operations because of the organization that it can provide to the functions of the workforce. 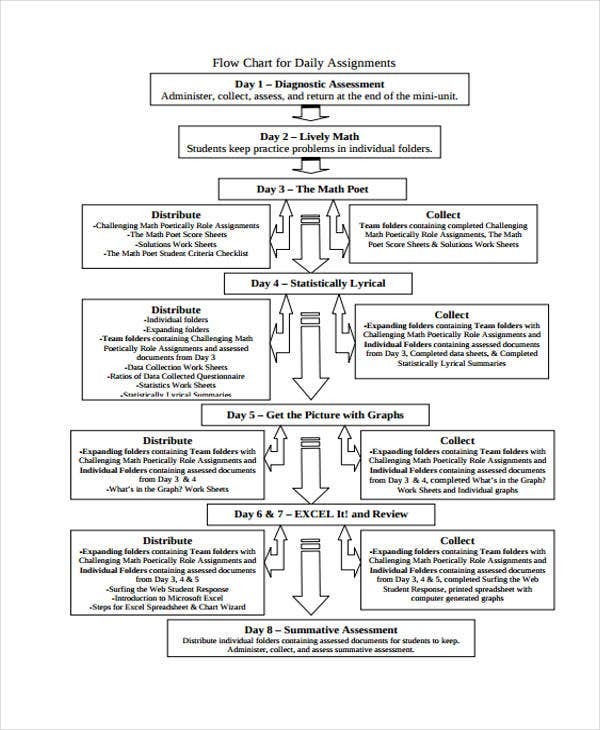 We have collected different kinds of work flow chart samples and templates so you can have many references and guides in creating the work flow chart that you need to have. Other than our samples of work flow charts, we can also provide you with samples of Organizational Charts and Gantt Chart Templates. First, identify the purpose of the work flow chart. What goals and objectives do you have in mind? 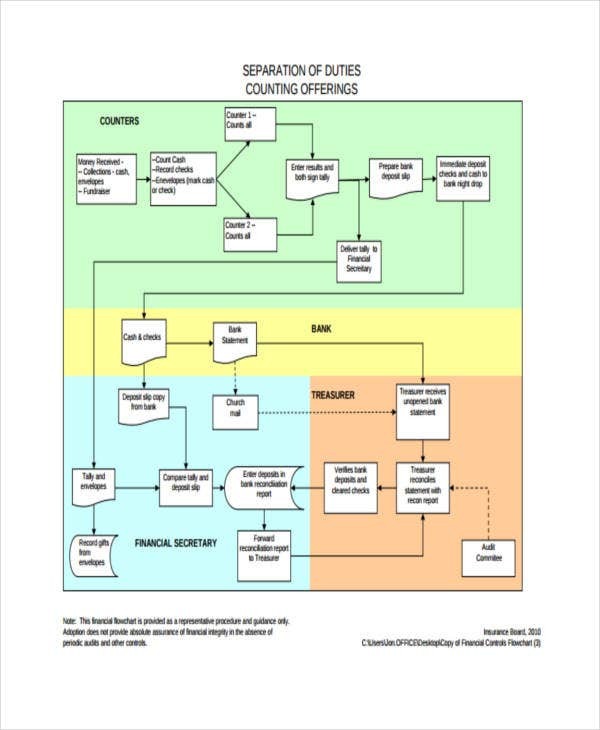 Assure that you know all the variables that need to be considered in creating the work flow chart of the business. The items included in the work flow chart should be realistic and doable. Assess whether the initial work flow that you have created is efficient when implemented. Put into consideration all the factors that can affect the full execution of the work flow plan. 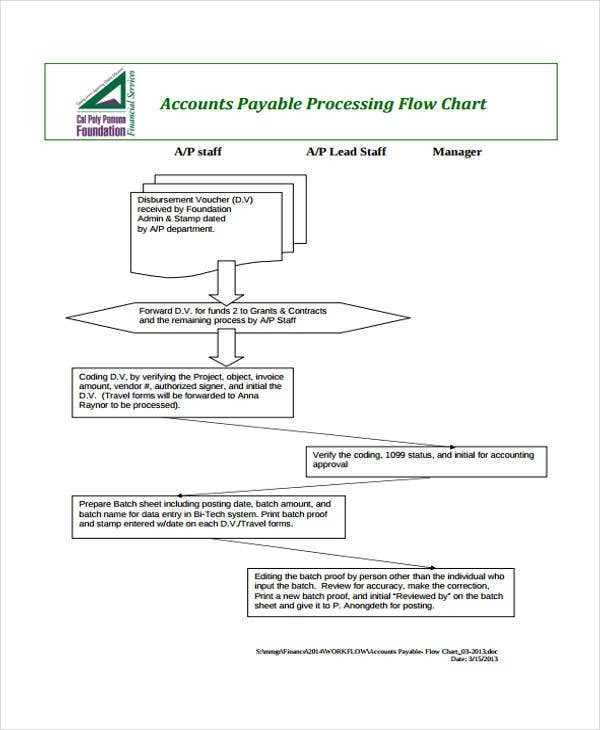 Make the steps included in your workflow chart is easy to understand. 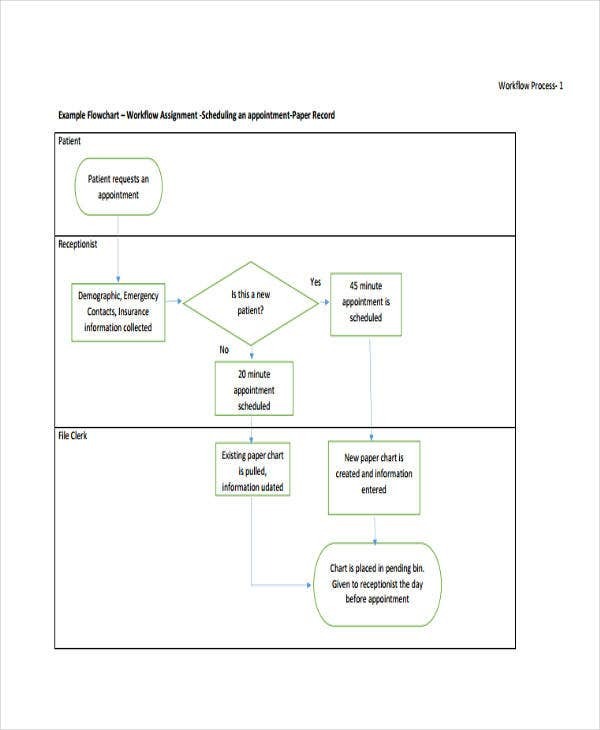 Our Project Flowchart samples can also be used as references if you are planning to use your work flow chart for the creation of project procedures. However, for other kinds of charts that you may want to create, you may download our Blank Chart Template samples to guide you in formatting your document. 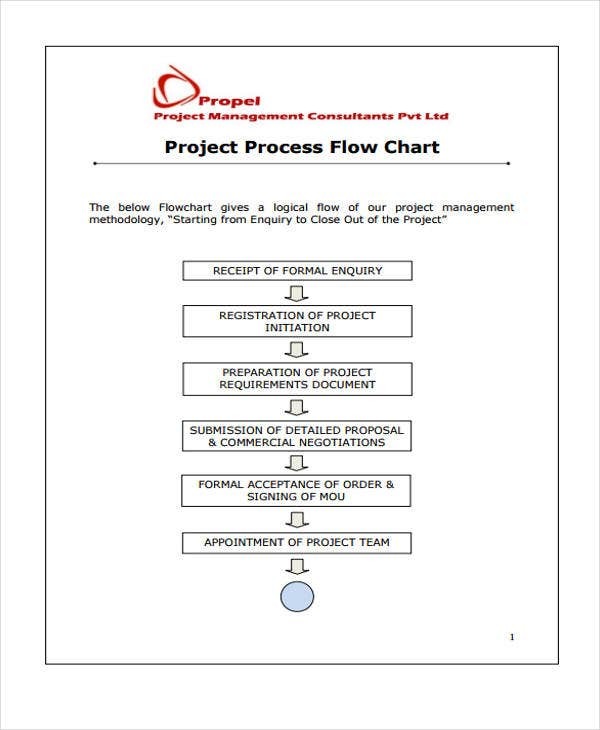 A project work flow chart is used to provide the details of a project process to assure that all the organizers and/or stakeholders of a project are aware of the things that will be executed in a step-by-step basis for effective project completion. This is usually used by event organizers as there are a lot of people that are involved in implementing an event project plan. 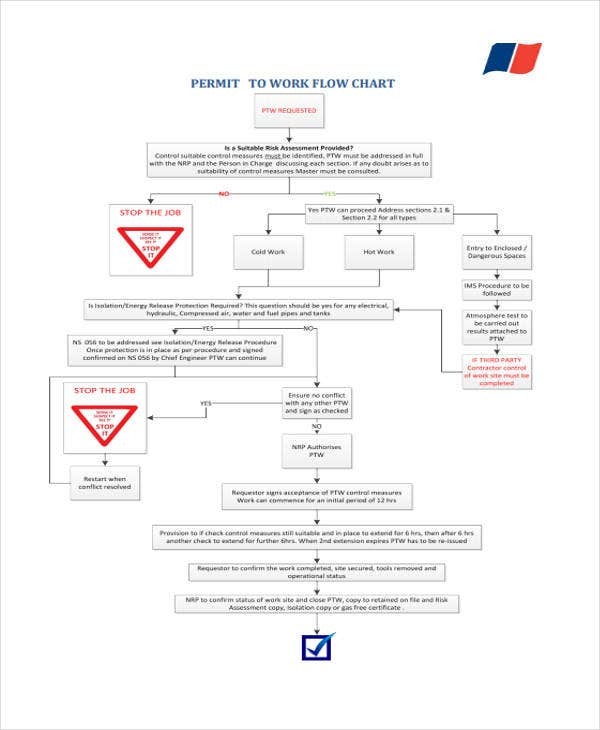 A daily work flow chart is commonly used by organizations and entities to assure them that their daily work processes are looked at and assessed for development purposes. 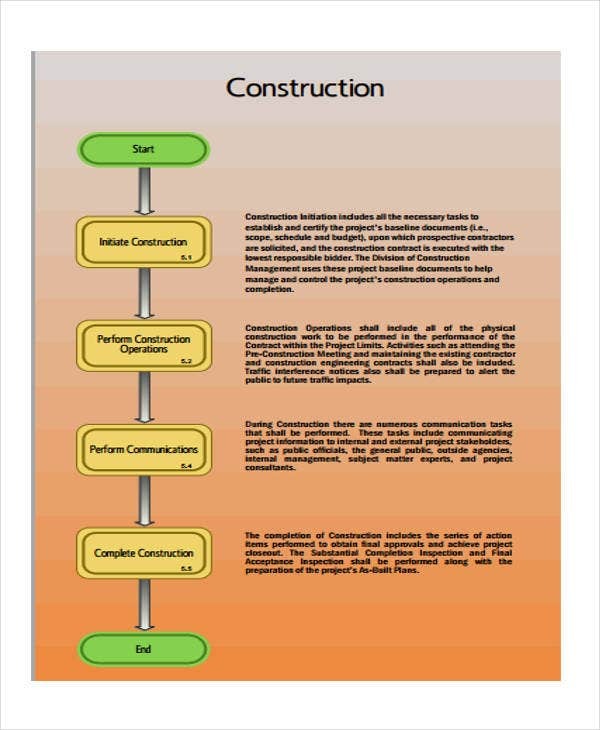 A construction work flow chart is used by construction teams and companies to present the construction activities that need to be done in order to implement a construction project. 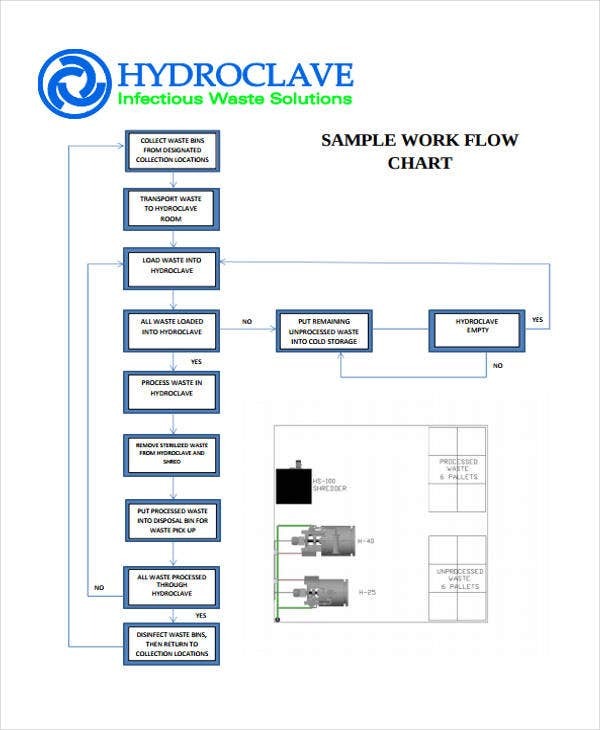 This particular work flow chart provides details from the planning stages up to the polishing of a construction project. If you need references and guides to create other kinds of charts aside from a work flow chart, our downloadable Chart Template samples got you covered.